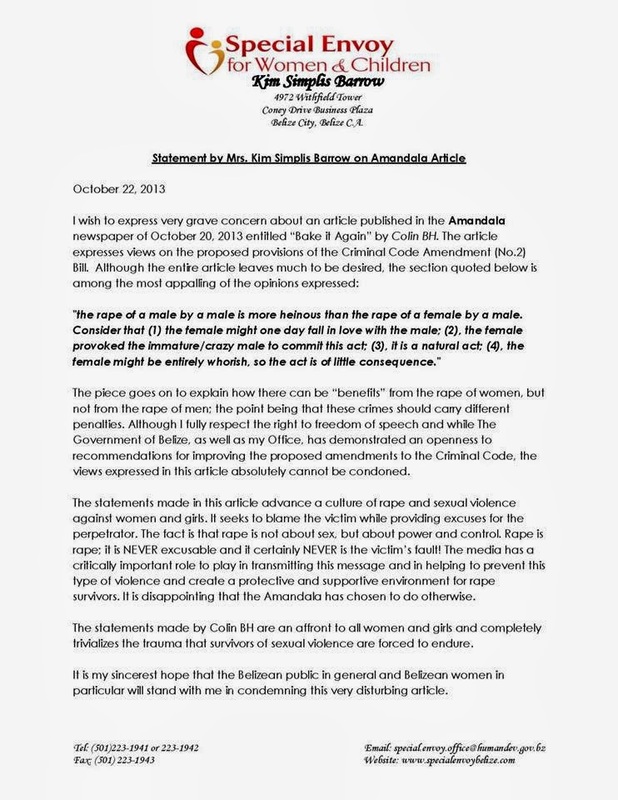 I'm again calling on Belizeans, especially women, to condemn and boycott the Amandala Newspaper until a public apology is made regarding the offensive article written by Colin BH. 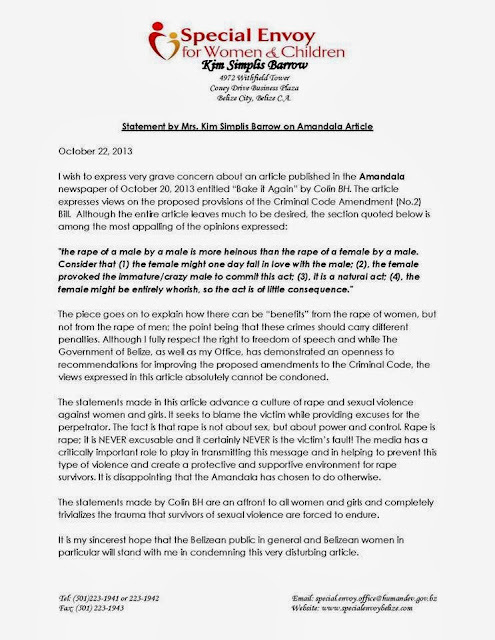 Below this release is the link to the repulsive article. I'm all in favour of everyone boycotting the paper - I never thought it was particularly good at reporting news anyway; after reading pieces by the likes of Paul Rodriguez, Russell Vellos, Audrey Matura-Shepherd et al, I quickly realised it was poorly-edited and blatantly homophobic; and now it seems it's violently misogynistic too. To quote the half-assed 'apology' - "What Kremandala power there is, came from the people, and there is where that power remains". It's time for the people to show them what that statement really means! We can't win with this crowd at Amandala. I hope that the next generation that will take over the reigns will be more balanced and inclusive.